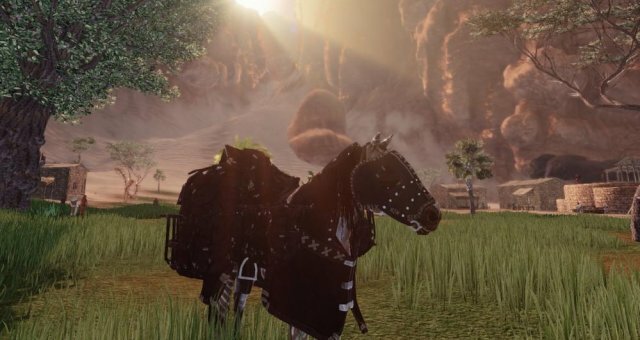 An entry level guide to help players get started in extracting and refining in Mortal Online. Here we can see the initial extration of the granum rock into tier 1 materials. Teir 1 materials then extrating down to tier 2 materials. And finally tier 2 materials extracting down to tier 3 materials. 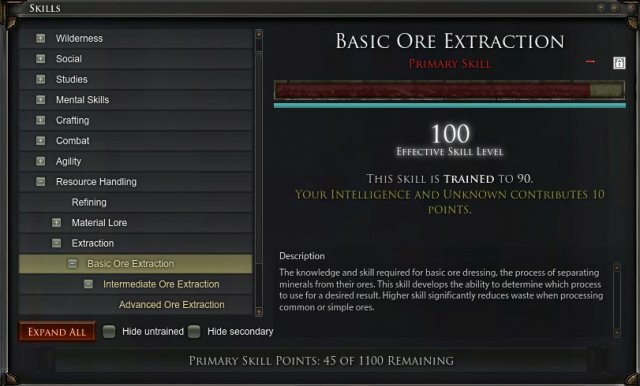 Basic Ore Extraction is required to extract tier 1 materials from ore. Intermediate Ore Extraction is required to extract tier 2 materials from tier 1 materials. 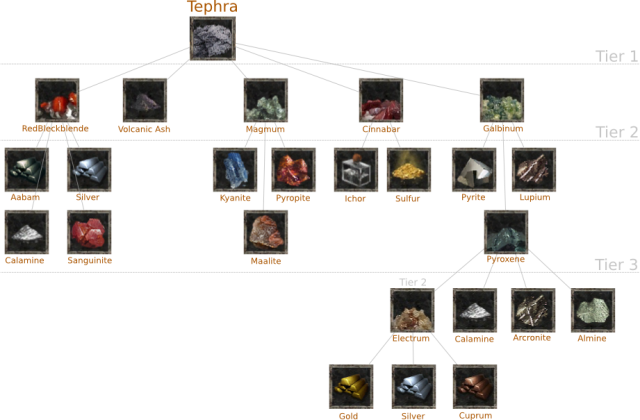 And Advanced Ore Extraction is required to extract tier 3 materials from tier 1 materials. Now lets look at the skill tree and how it works. A skill can never be higher than the parent skill above it. 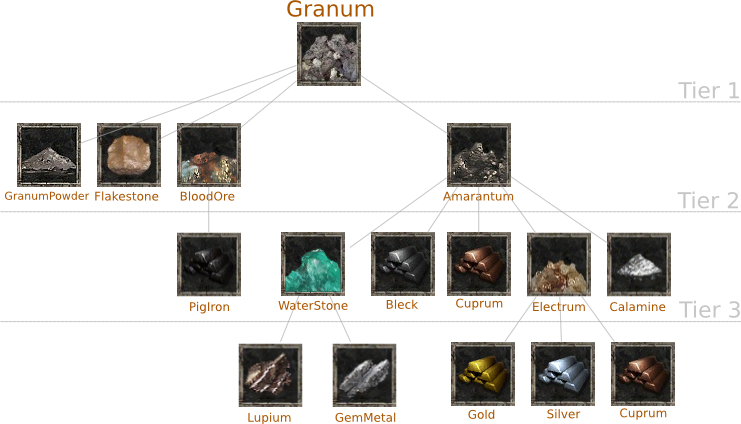 So granum can never be any higher than its parent skill Igneous Rock. Igneous Rock can not be any higher than Petology. And Petology no higher than Material Lore. One thing to notice here is that Petrology is a different color than the other 3. The reason for this is that it is a primary skill and the other three are secondary. 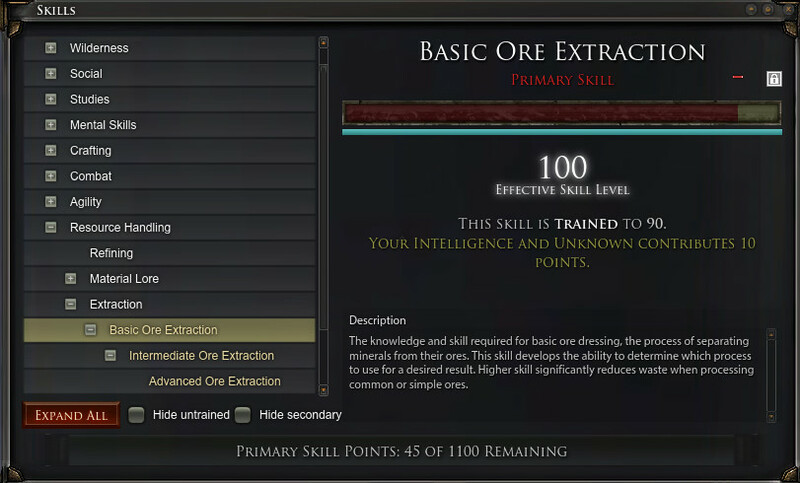 Only the primary skills actually use up the Primary skill points that are shown on the bottom of the image. 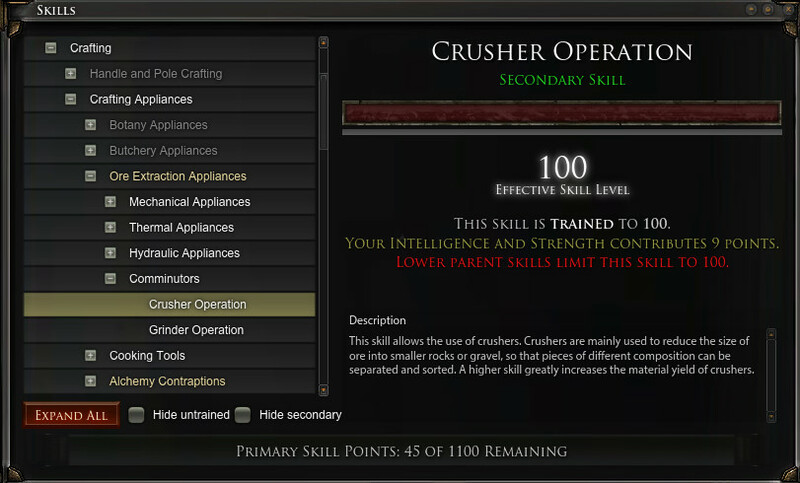 The secondary skills are basically free up to the level of their parents. Another thing to note is the part that says "Your Intelligence and Unknown Contributes 10 Points." These are basically bonus points that come from the skills that your character has. With different skills getting their points from different attributes. This does not mean much for secondary skills but with primary skills it cuts down on the amount of points you will have to put into skills to get them to 100. 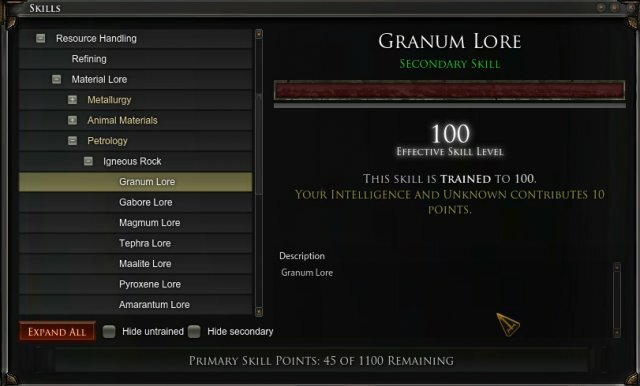 For example, if granum was a primary skill then it would only need to be trained to 90 to get the effective skill of 100. Caution: One thing to be aware of here is that book prerequisites go by trained level and not effective levels. So be sure to have your skills trained level up to that number! Other wise you will not be able to read that book. Every material you wish to be able to extract from another also needs to be leveled the same way. Here we will consider the raw metal known as PigIron. 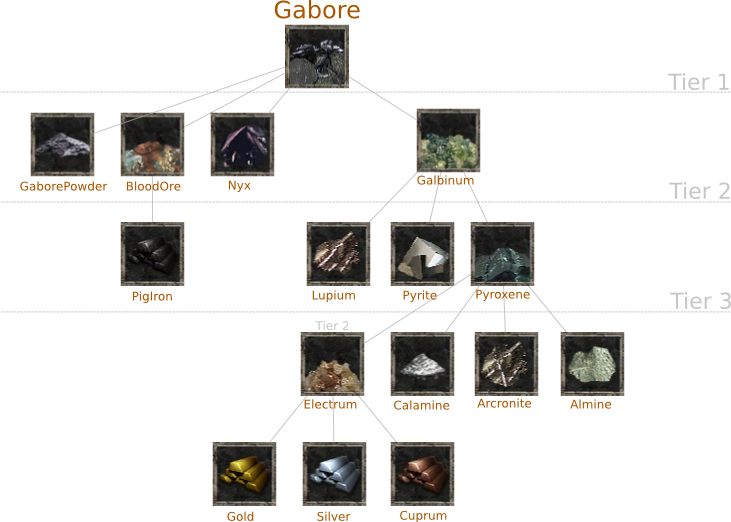 PigIron is a tier 2 material that extracts from the tier 1 material called bloodore, with bloodore extracting from Granum ore.
And all of the releated parents. All other materials a player wants to be able to extract will need to have all of their skills in the same way. Otherwise they will not get that particular material when extracting. If this is the case then the game will give a message that states that there may be more that could be extracted but you do not know how. Many types of extraction equipment can be found in Nave. These are just two of the many types of extraction equipment and there are many more. 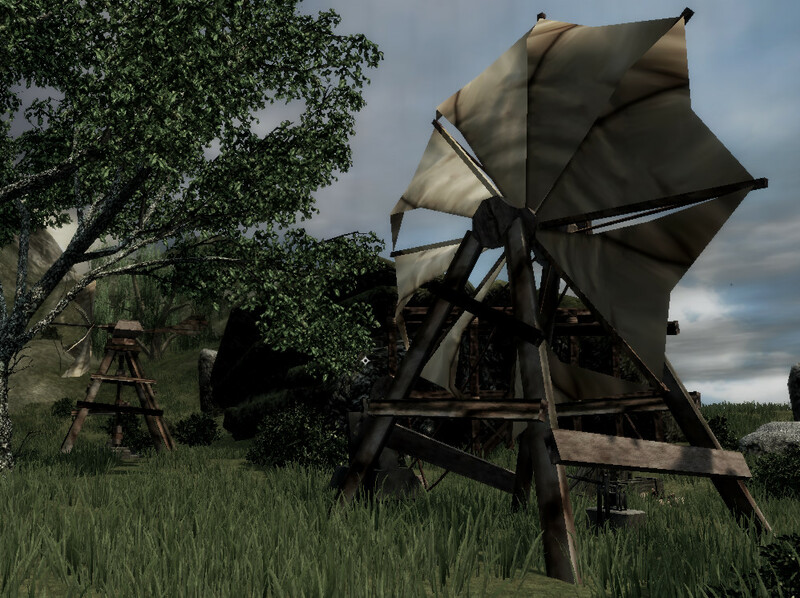 including portable appliances, equipment that can be built by players in their territory and even equipment that can be built in a players home. Extracting can be done on these different types of equipment with many different results. Each type of these machines require their own skills to be used effectively. A player needs the skills of the crusher and all of its related parents to be able to use it effectively. 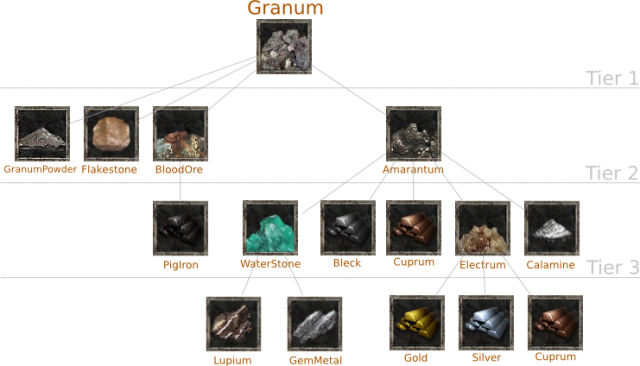 Plus Basic ore extraction, granum, granumpowder, flakestone, bloodore, amarantum and all of their related parents. 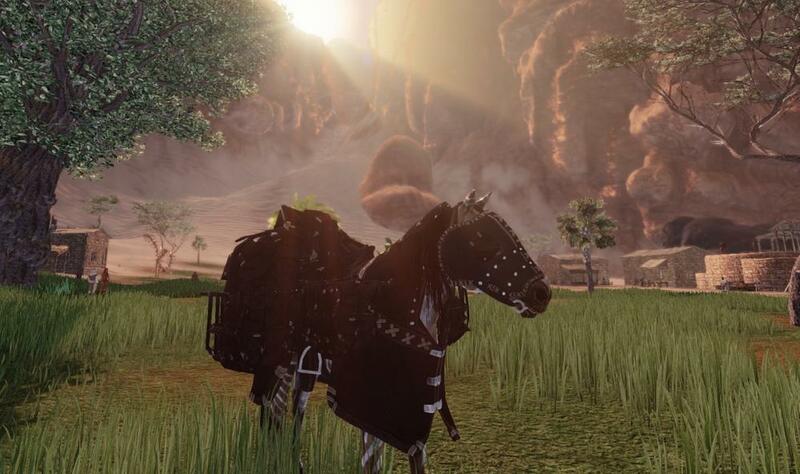 Players can check the skill tree in game to learn what is needed for the other equipment. Ok, So we got some skills and gathered some ore. Its now time to extract! 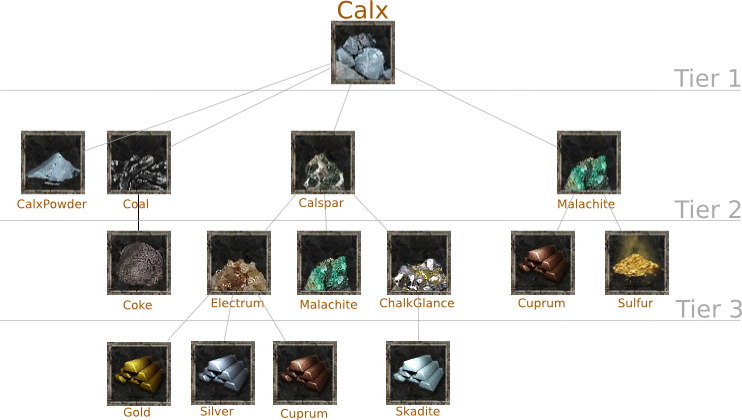 There is a box labled Resource and another labeled Catalyst. 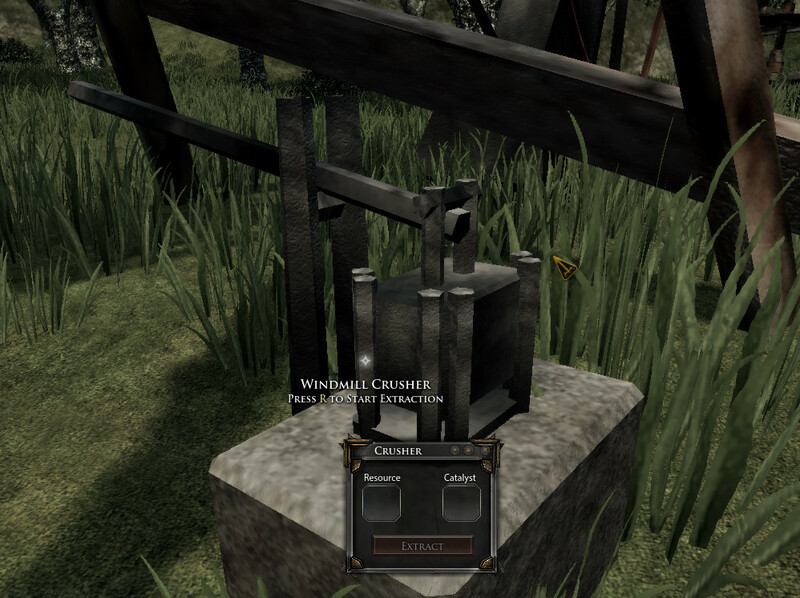 The Resource box is where you will put the ore or material that you want to extract. While the catalyst box is where you need to put other materiel that can aid in the extraction process. Different catalysts will give different results. Also the ratio of catalysts to material effects the results as well. So what to use for a catalyst? I would like to leave some things open for discovery (though these answers can be found online). To get players stared I will state that the Crusher does not require a catalyst at all. I imagine that it is because it is literally just crushing up the stuff. So that would probably be a good starting point for a new extractor. One final thing to add here. There is a que to extraction so you can submit pairs of materials and catalyst one after the other and they will complete in order. 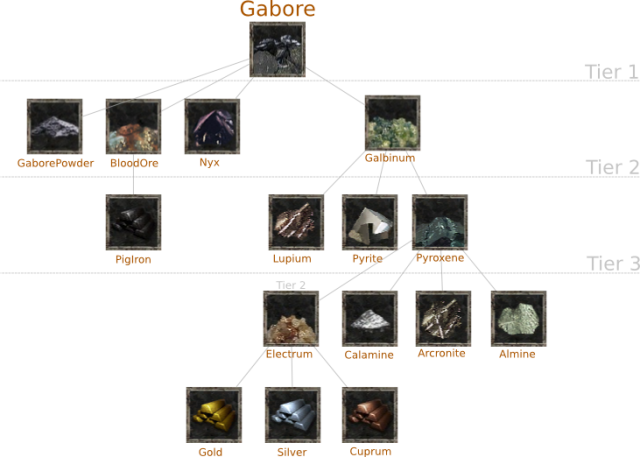 You may have noticed that there is no steel to be found in the ore extraction trees. The reason is simply that steel is an alloy and must be refined. Again we have a whole new set of skills to learn to do this part. But it all should be pretty familiar now. So I will not go into detail on it here now. A major difference here though is that there is no equipment that needs to be used to refine. A player simply puts the refine icon in their hot bar and activates it. Here we need a primary and two catalysts. For steel the primary is grain steel and the two catalysts are Coal and Saburra Powder. The refining ratios are always 2:1:1. 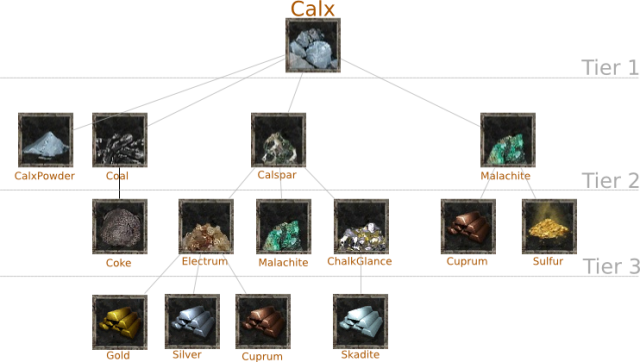 So 10k grain steel would require 5k Coal and 5k Saburra Powder to be at the right ratio. Tindremic Messing = Messing + Almine + ? Oghmium = Tungsteel + Cronite + ?